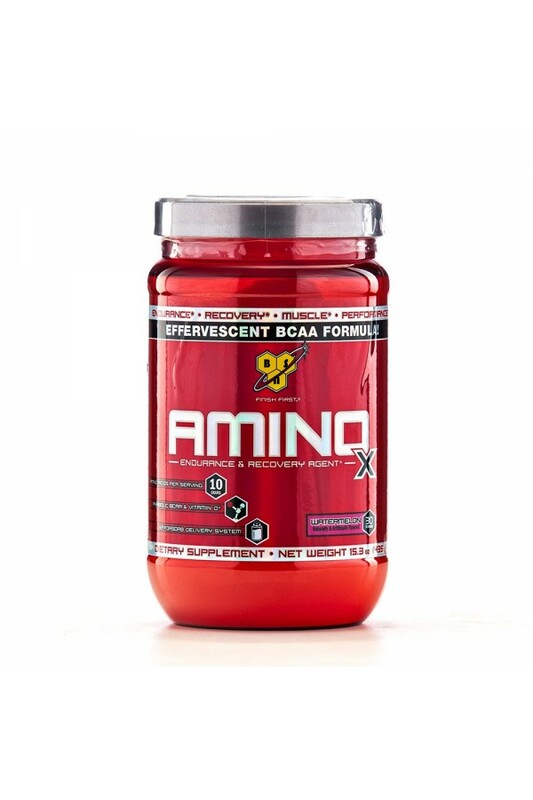 BSN - Amino X supplement is Caffeine-Free and can be used at any time, day or night. 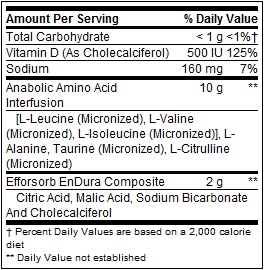 Delivering 10 g of Micronized Anti-Catabolic Amino Acids per Serving! ALLERGY WARNING: Manufactured on equipment, which processes products containing milk, egg, soybeans, wheat, and tree nuts. Before consuming AMINOx™ seek advice from a physician if you are unaware of your current health condition or have any pre-existing medical condition or if you are taking an MAO inhibitor or any other medication. Do not use if you are contemplating pregnancy, pregnant, nursing, prone to dehydration, or exposed to excessive heat. Reduce or discontinue use if sleeplessness, tremors, dizziness, nervousness, headaches, or heart palpitations occur. AMINOx™ is only intended for use by healthy adults 18 years of age or older. Keep out of reach of children and pets. Store in a cool dry place away from direct sunlight.